I love P.G. Wodehouse, as you say, his books are mad and fun. I think listening to this book could be very entertaining. There are several narrators who do a great job with PGW - Sinden, Ian Carmichael & Jonathan Cecil - you can't go wrong with any of them. Hard to go wrong with Wodehouse! The names of the other dog foods are just as ridiculous, aren't they? I don't know how JS read some passages without laughing. 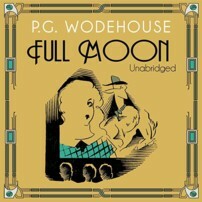 Wodehouse is my husband's favorite author and as he reads his books and rereads, he always retells the stories to me. Isn't it odd that it doesn't matter that the plots have the same components - pigs, young lovers, imposters, rampaging aunts - the books are always enjoyable. I probably couldn't read too many in a row but I still have many unread Wodehouses & I like to read 2 or 3 a year. Ah yes, nothing like a dose of Plum to cheer you up. You're right - nothing better! 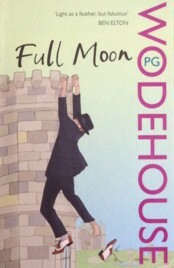 I haven't read a Wodehouse for ages and you're making me want to go and do it immediately... I don't have this one, but I do have plenty HIU. 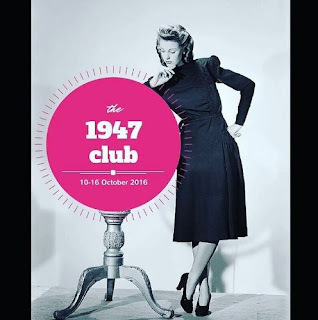 The 1947 Club was the perfect excuse for me so thank you, Simon, for coming up with the idea. I love Wodehouse. He's one of the few authors who can make me snort and giggle while I'm reading. You're right. I had quite a few giggles while listening to this one.